Auto theft is up six per cent across the country, according to a report released Tuesday by the Insurance Bureau of Canada. 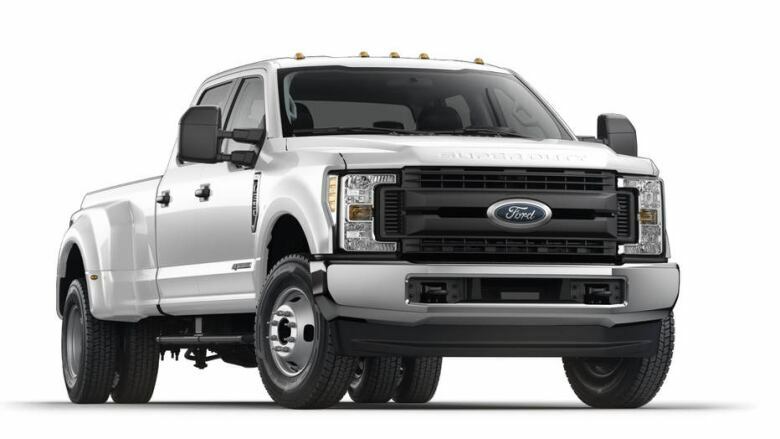 Ford F-series trucks are at the top of the latest annual list. Auto theft is up six per cent across the country, according to a report released Tuesday by the Insurance Bureau of Canada (IBC). New Brunswick tops the lists with a 28 per cent increase, followed by Ontario with a 15 per cent increase, Quebec, up seven per cent, and Alberta, up six per cent — the highest per capita increase in Canada. 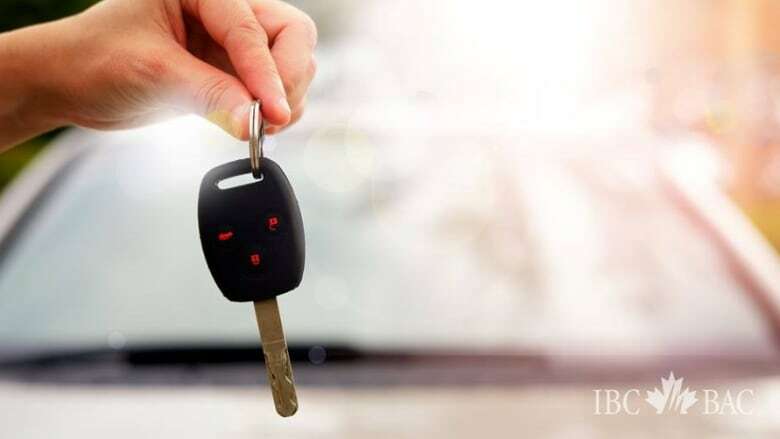 The IBC, a national association that represents Canada's private auto insurers, reported the increases in its annual report looking at Canada's most frequently stolen vehicles. Ford F-Series pickup trucks and high-end SUVs top the list this year. "They're of real value," said John Tod, national director of the IBC's Investigative Services. "They're very attractive vehicles. I know that those types of vehicles are in high demand elsewhere, basically overseas." The IBC report uses data compiled by members across the country from 2016-2017, the most recent information available, but Tod said they've also seen the number of auto thefts continue to increase in the first three quarters of 2018. 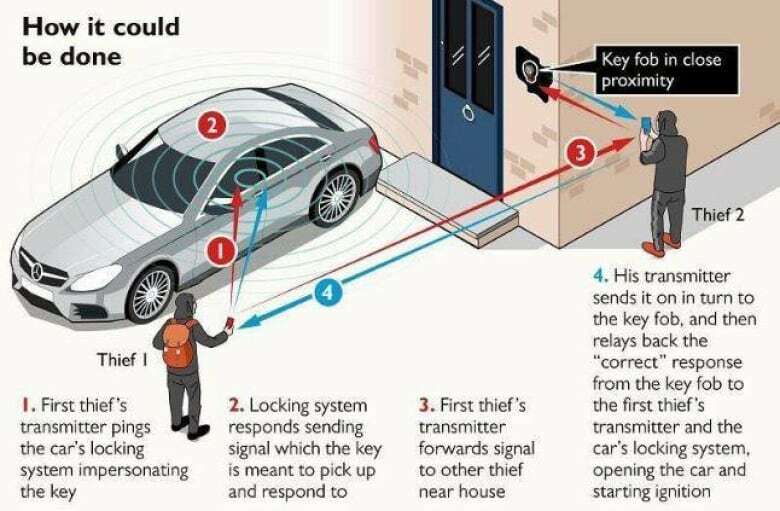 Last week, CBC News reported on a new style of vehicle theft that involves boosting key fob signals from inside homes to open and steal cars in driveways — a technique one auto security expert said may be playing a role in a recent surge of auto thefts in the Toronto area. Although Tod said most break-ins still involve having the vehicle's keys in hand, he said the IBC is looking into these electronic thefts. "The auto manufacturers are very well aware and very actively doing everything they can to change the technology, increase the security mechanisms in it and hopefully reduce the amount of thefts that are occurring," he said. Tod said the IBC holds periodic meetings with auto manufacturers, and he'll be bringing up these electronic thefts at the next one. Ford F350 trucks take the top five spots on the IBC's national list, and they also dominate in Alberta. In Ontario, Chevrolet trucks and high-end SUVs make up much of the Top 10, and in Atlantic Canada, Nissan Maxima, Chevy Silverado and Jeep Liberty vehicles take the top three spots. Tod said the reasons thieves target these vehicles varies, but the IBC is seeing many of them shipped overseas. "There's a large amount of vehicles that are coming from registered owners or reported stolen from the GTA, southern Ontario area," Tod said. "We're seeing them leaving primarily right now through to the ports in Montreal and through Halifax … we're seeing them going over to Africa, over to the Middle East and to some extent down to the Caribbean countries as well." The trend corresponds with another finding in the report — an increase in unrecovered stolen vehicles, Tod said. Of course, many break-ins also occur because thieves want to steal the car's contents or take personal information to use for things like insurance fraud and identity theft, Tod said. New Year's Day is the most common time for vehicles to be stolen across the country, mostly because cars are filled with gifts, the report said. Don't leave your vehicle unattended and running. Don't leave your keys or key fobs unattended. Don't leave valuables visible on the seats. Park in a well-lit area, ideally in a garage. "It's only a matter of minutes, or seconds in fact, for somebody to actually, if they have the right means and if they have, even worse, … access to your key fob or your key ... it will be gone, and will be gone in a very, very quick period of time," said Tod. Taylor Simmons works in all areas of the CBC Toronto newsroom, from writing for the website to producing TV and radio stories. Taylor grew up in Mississauga, Ont. and studied journalism at Western University. You can reach her at taylor.simmons@cbc.ca.